Marrero’s population is about 33,000. This amount of people means that there are more than a million teeth in the area. And those teeth need someone to look after them! 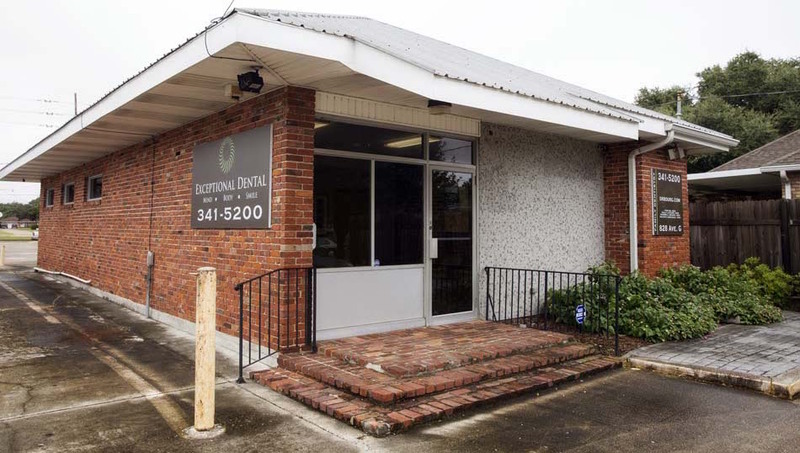 If you’re looking for a dental practice in Marrero, check out Exceptional Dental. Not only are we committed to exceptional experiences to our patients, but we’re also committed to Marrero as well! No offense to our friends to the East, but we love it here on the West Bank! We love it so much that Exceptional Dental has TWO locations in Marrero. Our Ames Boulevard location is convenient to I-45 and Lapalco Boulevard. Four experienced and friendly dentists are there to serve you: Dr. Michael Adragna, Dr. Carlos Setti, Dr. James Terrebonne, and Exceptional Dental founder and CEO Dr. Darrell Bourg. The other office is on Avenue G, right off Barataria Boulevard and Highway 90. In addition to Dr. Bourg, you can see Dr. Kim Do at this location. At both Marrero locations, you’ll receive Exception Dental’s superior service. Visit us regularly for your dental cleanings and prevention. Regular visits to your local dental practice can keep your mouth, teeth, and gums healthy. Prevent disease and catch problems early before they become more painful (and more expensive). Do you get nervous about visiting the dentist? We offer safe and relaxing sedation to help get you through your appointments. And if something terrible does happen, we can help with periodontal disease and emergency dental care. We’re also here for restorations, dental implants, and cosmetic dentistry (including whitening!). And if you need braces, we’re here for you too. We’re proud to serve all the almost 9,000 families living in Marrero. We know that for many people, their dentist needs to be more than a healthcare provider. They need to be someone you trust with and your family’s smiles. For us, nothing’s more important than making you smile. We want to make things as easy, painless, and comfortable as possible. To get started on a brighter, healthier smile, request an appointment online. One of our friendly team members will be in touch.